Recovering urban memory and recreating a new landscape for the city. 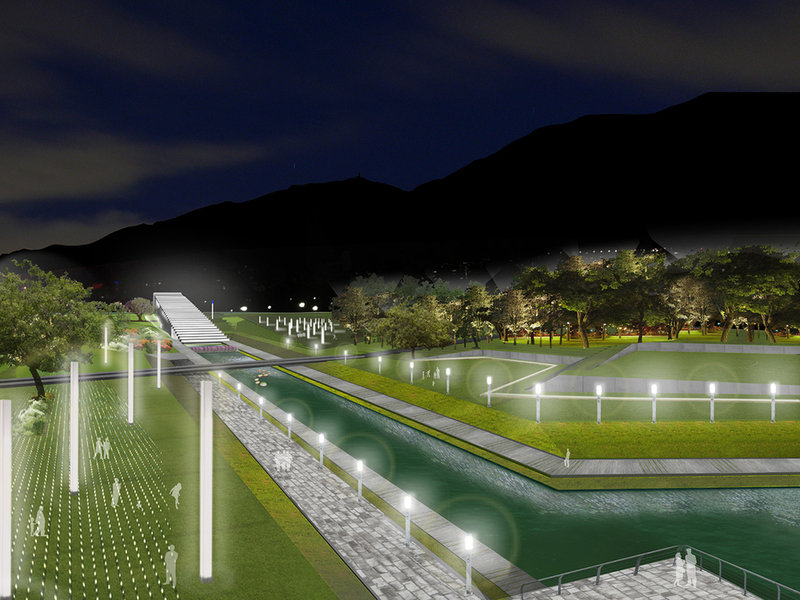 This project in response to a design competition for the Parque Verde La Carlota (La Carlota Green Park) began with the premise that this great empty space is a national treasure that should not only be preserved but emphasized and endowed with new relationships and meaning for the City. 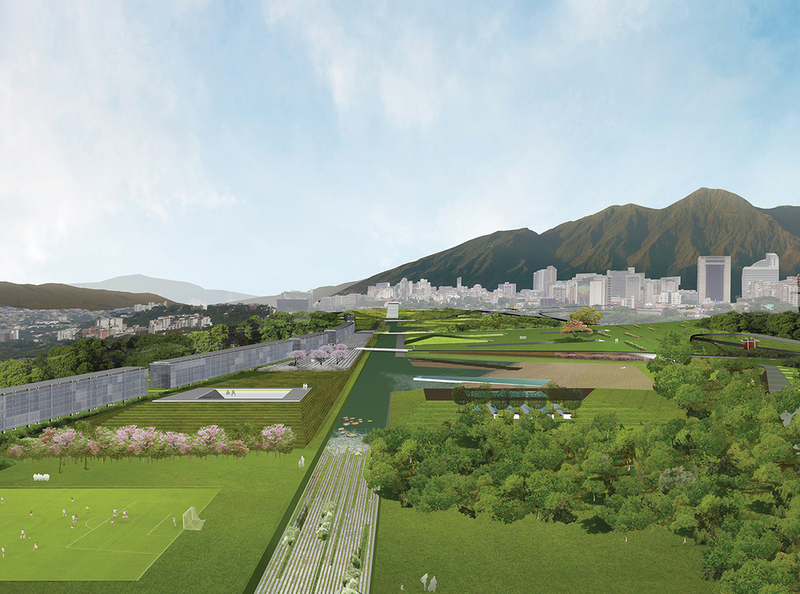 Thus the project sought on one hand to provide the necessary infrastructure to weave the new metropolitan park into the rest of the urban fabric, and on the other hand to create a new, intensely contemporary landscape in which structure, nature, the new and the pre-existing would be joined to create a park for everyone. Recalling Kevin Lynch’s concepts of rupture and suture, the concept was to transition from a ruptured space to the new idea of a sutured space; e.g., to preserve the great openness of the old airport while providing the necessary ties to the rest of the city’s urban fabric. The new park would act as a great urban amalgam to connect previously disjointed areas of the city. 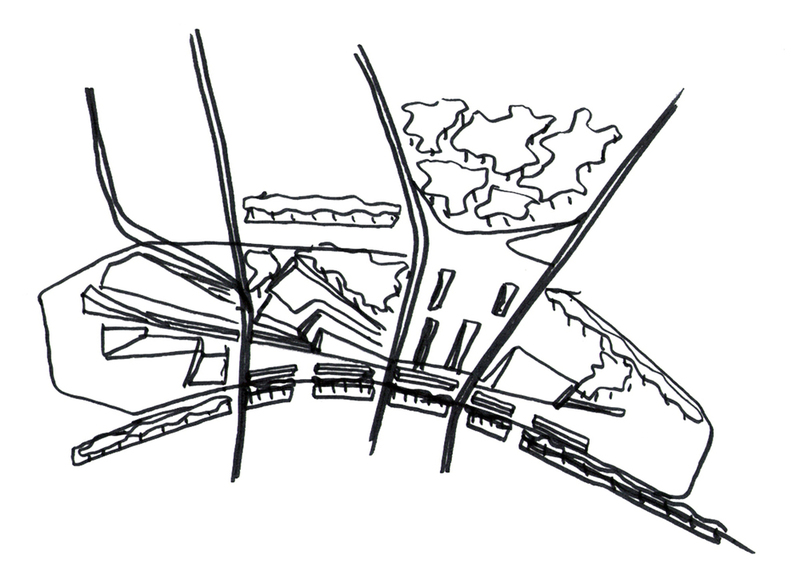 To link that enormous space physically and visually to the rest of the city, the topography was subtly manipulated through a balanced combination of cuts, fills and tree-covered platforms, thus retaining the natural and artificial obstacles that have isolated this area from the rest of the city. The manipulation of the topography aims to respect the constant and gentle east-west slope, and to recognize the pre-existing emptiness of the runway, generating a series of clearly differentiated but fully interconnected environments. 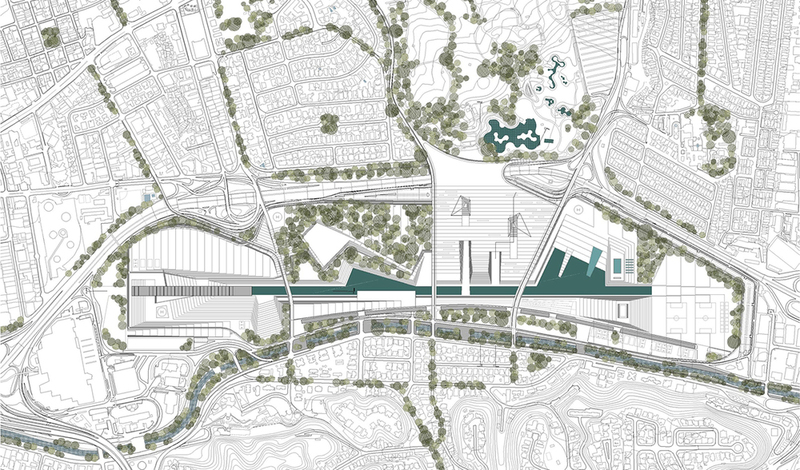 To integrate the new park into the city via this urban suture, the proposed road and pedestrian connections are appropriate to the park’s metropolitan scale and to the specifics of each of its edges. 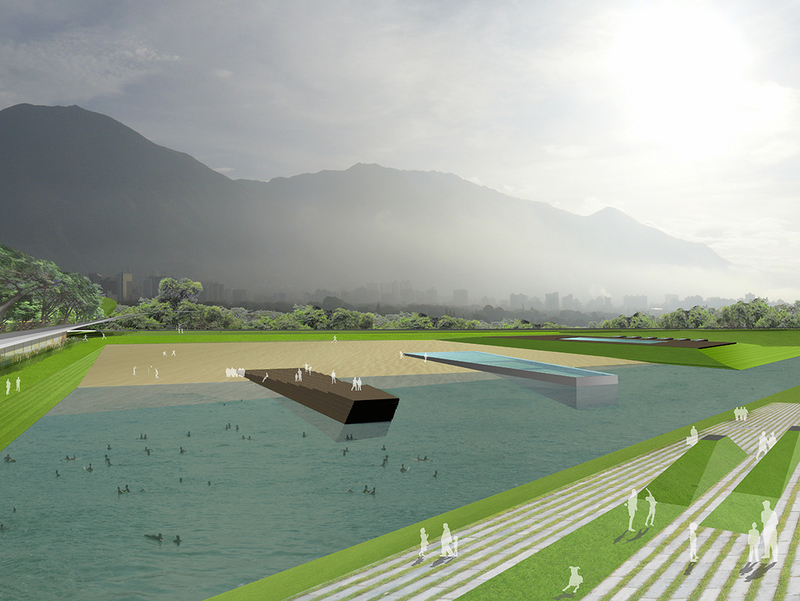 The proposal includes the possibility of incorporating La Carlota Park as a basic element of a water system integrating the hydrography and topography of the Caracas valley as a model for environmental management. The great space was seen as the broadest available area to receive, collect, treat and redistribute rain water. 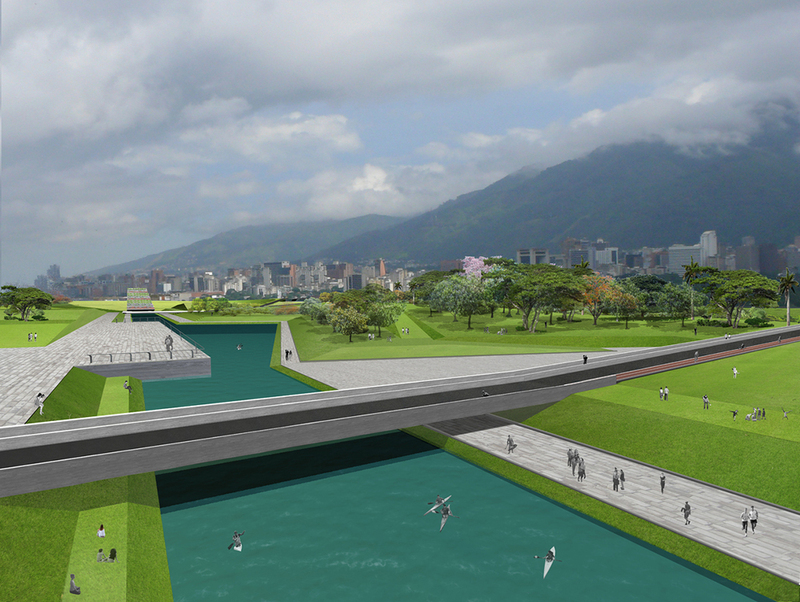 Thus it was proposed to reinvent the old runway as a water reservoir that could balance out and absorb heavy floods during the rainy season as well as storing the city’s water during droughts. A set of underground wells connected by a water compensation system regulates the water levels avoiding possible flooding and storing water to supply the city during dry periods. A major stimulus was the need to generate visibility and awareness of the hydro-geographic systems in the Caracas valley and the surrounding territory. The new park is seen as an opportunity for environmental education that also allows studying the theme of water as an energy resource for the construction of a green and sustainable park.